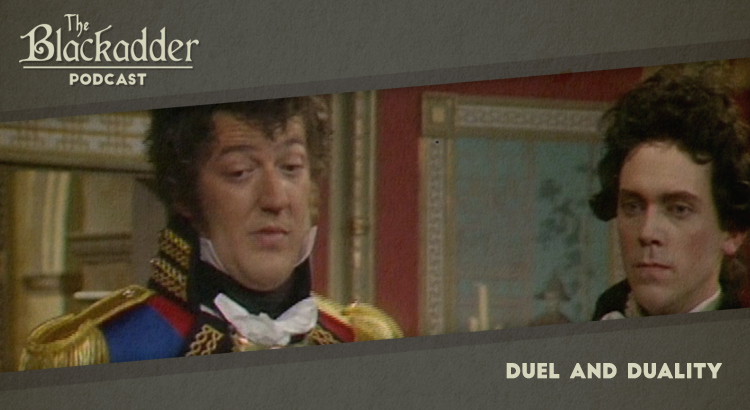 In the penultimate episode of Blackadder the Third there was only one major guest – the returning Stephen Fry as the Duke of Wellington. Gertan Klauber made a brief cameo as King George III, the Prince Regent’s father, towards the end of the episode. Blackadder the Third was written by Ben Elton and by Richard Curtis and all six episodes were directed by the returning Mandie Fletcher. Once again, John Lloyd produced the series and Howard Goodall was responsible for the music. Duel and Duality was released in 1987. It is 30 minutes long and originally aired on the BBC. Blackadder the Third is sadly not available on Netflix, but a remastered set of the whole series is available on DVD around the world (Region 1) (Region 2).